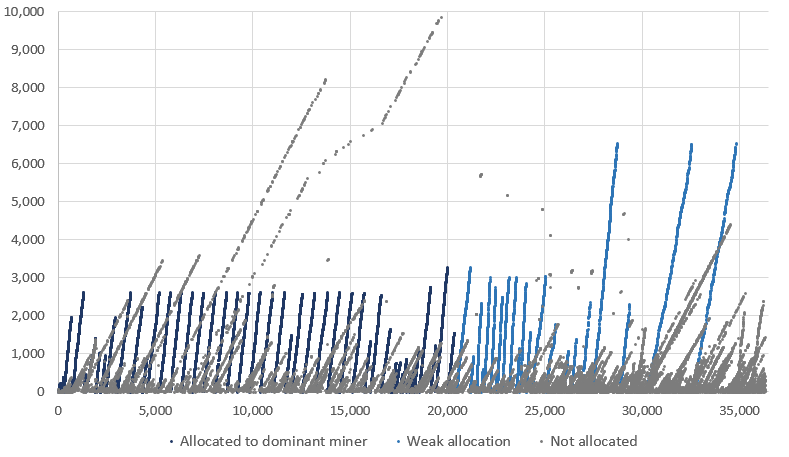 At what price will Bitcoin make Satoshi Nakamoto the world's richest? As it stands there’s no formally agreed upon figure, but for arguments sake lets assume that Satoshi’s holdings are 700,000 BTC, that’s a fortune amounting to $4,580,807,000 (four billion, five hundred and eighty million, eight hundred and seven thousand dollars) at current prices, AND we’re in a bear market... pretty impressive. Unluckily for Satoshi, a meager 4 billion isn’t enough to make the top 10 richest people in the world, it’s not even enough to make the top 50! So, what price would BTC have to reach to make Satoshi Nakamoto the world richest, and will we ever see that day come? As recently reported, Chris Larsen, Ripple's co-founder made it to 383rd place on Forbes 400 richest, however, contrary to popular belief, he was not the first person in crypto to gain a much-coveted place on the list. Interestingly, back in the dizzying heights of December, last year, when Bitcoin touched the $19,000 mark, Satoshi briefly held a position in top 50. Alas, this was nowhere near the incumbent, Jeff Bezos, the reigning king of the hill, with a net worth estimated at a gargantuan, 154.8 billion USD; by this precedent, for Satoshi to take the crown, BTC would have to be worth well over $220,000 per coin. However, some speculators (looking at you, McAfee) would say that this was a fairly attainable goal for the #1 crypto. Thomas Lee of Fundstrat Global went on record to say that BTC will reach $125,000 by 2022. Journalist and early Bitcoin adopter Max Keiser also predicted a long-term bet of $100k. And of course, you can’t talk about crypto predictions without mentioning McAfee’s infamous prediction of 1 million per coin, of which he was so certain he promised to eat a particular part of his anatomy if the prediction didn’t come to fruition. 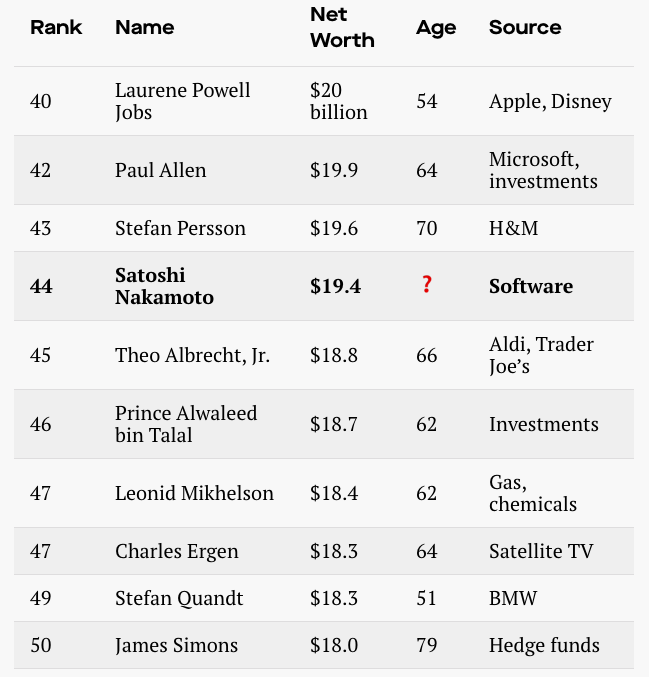 Will we ever see Satoshi Nakamoto in the top ten richest people in the world? No, I don't think it'll ever happen.